OK, I admit it. I’m an an addict. I love it and cannot help myself when I’m around it. I make plans for it. I often allow it to guide my grocery choices. And, if i do say so myself, I do it well. Preferably homemade. Even more preferably, soup I made. I do not know if it is a result of all of the cans of Campell’s my mom filled me with as a child, (mmmm, tomato soup and grilled cheese! ), or if there is something extraordinarily yummy about soup, but I cannot get enough. To fuel my addiction, I learned at an early age how to make soup and I have only gotten better over the years. Today I will share my super-secret creamy, yummy potato soup. Yes, I’m allergic to milk and my soup is creamy. This soup is milk-free and gluten-free. It can also be made as a vegan soup by using vegetable stock instead of chicken stock. It takes about 45 minutes to make and can be made in a medium sauce pan. Add olive oil to hot skillet. 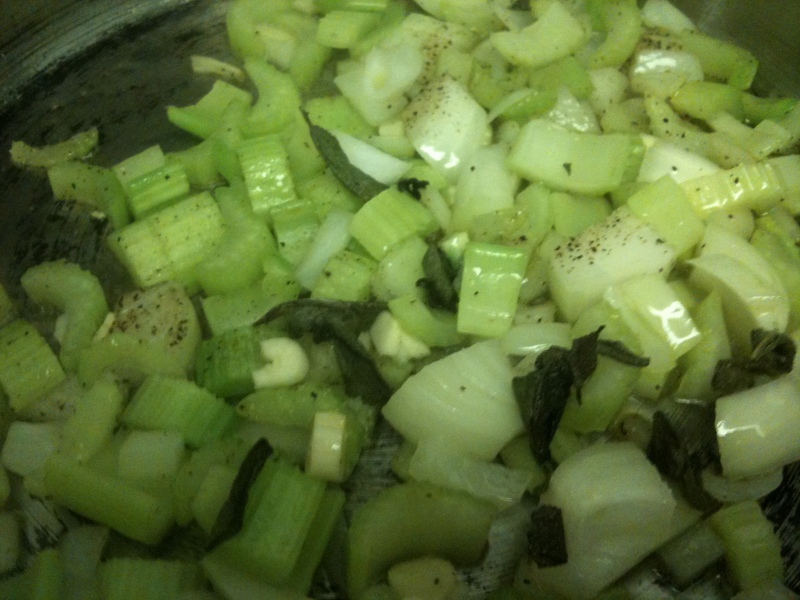 Chop onions, celery, garlic and add to skillet with salt, pepper, and sage. Cook over medium heat until veggies start to soften. Add two cups chicken stock to softened veggies. Bring to a boil. Reduce heat and simmer 5-10 minutes. 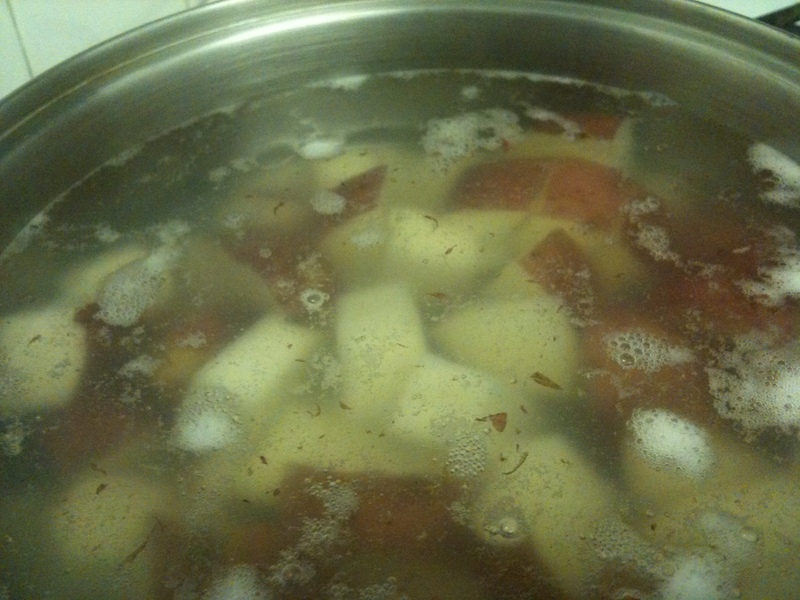 In a separate pot, cover cubed potatoes with water. Cover and cook until soft. Once veggies and potatoes are soft, place in blender. I usually blend the veggies cooked in chicken stock first and then ladle in the potatoes, including the water they were cooked in, into the blender and liquify a bit at a time. Once all is blended, pour back into medium saucepan, salt & pepper to taste, bring to boil, lower heat and simmer 10 minutes. Add carrots to the celery and onions mixture. Use vegetable stock to make it vegan. Reserve 1/3 of the boiled tables and set aside. 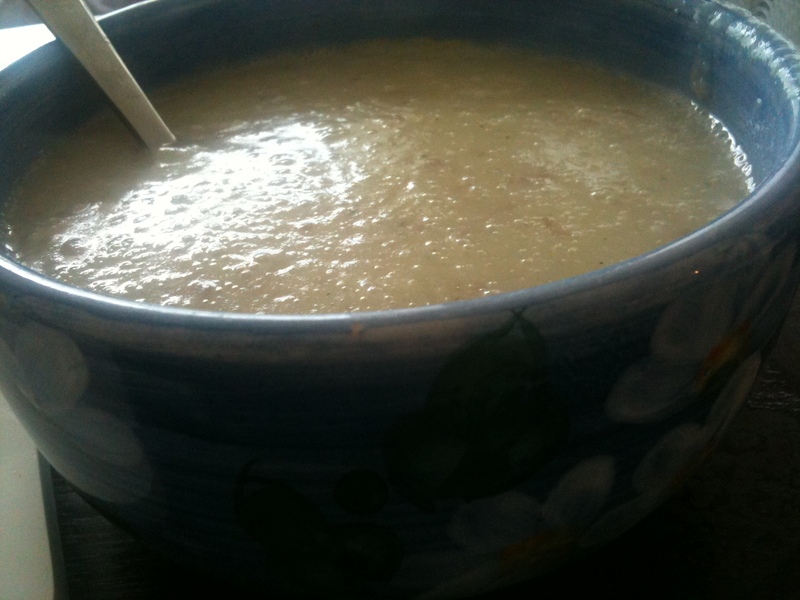 Mush them up just a little, add to the pot of blended soup so that you have chunks of potatoes in the soup. 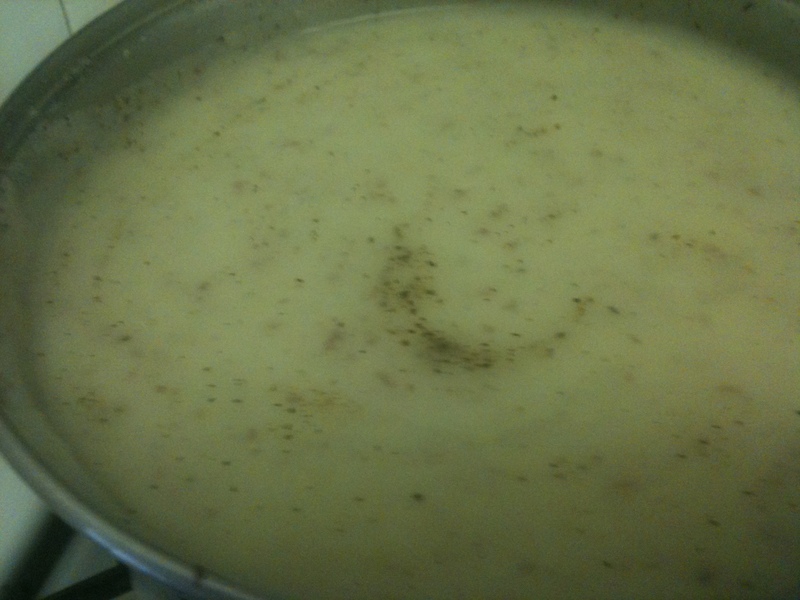 If you’re not allergic to milk, you can add 1/4 cup of cream to the pot of blended soup before re-heating. This recipe is quite versatile. I don’t peel my potatoes, but you certainly can peel yours if you prefer. I had bowl of soup with a side salad. This entry was posted in cooking, diet, fat, potato soup, recipe, skinny, soup and tagged cooking, diet, fat, potato soup, recipe, skinny, skinny girl, soup. Bookmark the permalink. I LOVE making soup… to me, it’s the closest thing to magic there is. Water magically becomes a hearty meal! Keep it up! Thanks, Bobby! Soup is the awesomest food there is! I agree. Magic!